Arts Alive! 2015 was a resounding success! Akron Art Lovers at Arts Alive 2016! AKRON, OH –Summit Artspace’s Arts Alive! 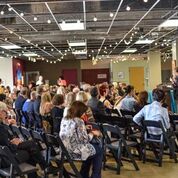 celebration will turn the spotlight on the outstanding work of artists, the Inside|Out program of the Akron Art Museum and individuals who have contributed to a vibrant arts community in Greater Akron. 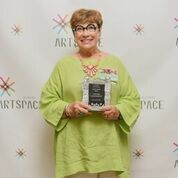 The honorees will be recognized at a celebration throughout the Summit Artspace building on Wednesday, June 15, 2016, starting at 5:30 p.m. Arts Alive! 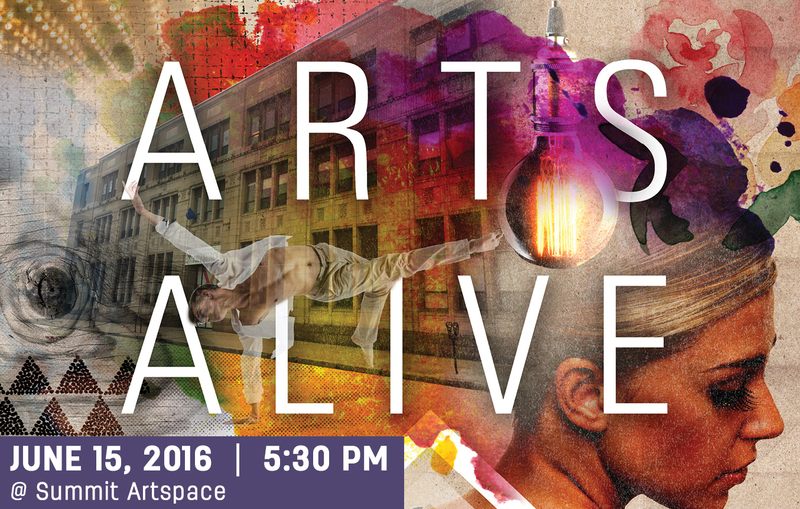 features live music, dance and theater, the presentation of the Arts Alive! 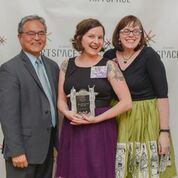 awards and the popular Out-of-the-Box Auction that benefits Summit Artspace programs. The event is underwritten by Ann Amer Brennan; the Akron Community Foundation; Buckingham, Doolittle & Burroughs, LLC; and TRIAD Communications and its Design4Good program. 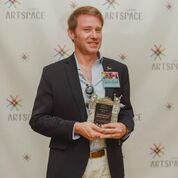 OUTSTANDING VISUAL ARTIST ~ Charles Beneke Professor Charles Beneke is the printmaking area coordinator for Myers School of Art. He teaches all levels of printmaking. He earned a B.A. in Art and Psychology from Kenyon College in 1990. After working in graphic design in New York City, he attended The University of Connecticut where he received his Masters in Fine Arts in Printmaking and Mixed-media in 1996. He was the 2008-10 president of the Mid America Print Council and now serves as the design liaison for The Mid America Print Council Journal. He is a Member-at-Large on the board of the Southern Graphics Council International for which he also serves as the Awards Committee chair. He is on the advisory board of The Morgan Conservatory in Cleveland, Ohio. His work in a broad range of print media, painting, new media, and installation addresses climate change, urging the viewer to confront his/her role in the fragile state of the world environment. His art is in collections around the world and was the focus of an exhibit, Specter, at the Akron Art Museum, August 1, 2015 – January 3, 2016. 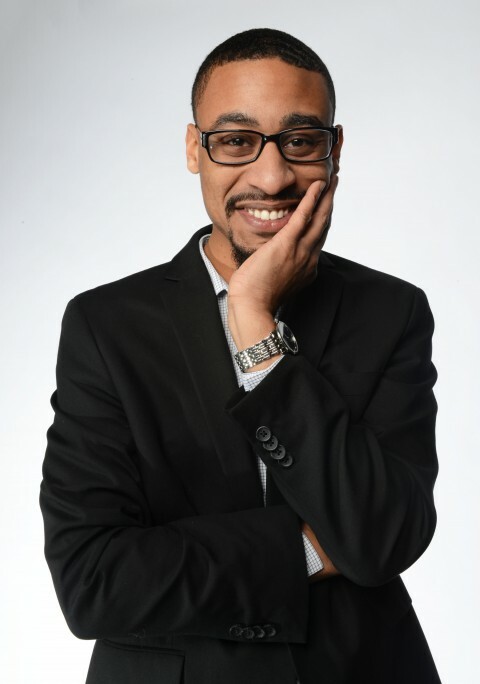 OUTSTANDING ARTIST IN MUSIC ~ Theron Brown The 30-year-old pianist is recognized as a rising star in jazz, fusion and other modern musical genres. Theron has soundly built upon the classics and standards as reminiscent of Art Tatum, Erroll Garner and Theolonious Monk. He has travelled the country and world performing with many of big name musical artists. Brown has established himself as a mentor and educator in the Northeast Ohio region, working with students at the University of Akron and regional students in public and private schools. He also leads a regular jam session at Akron’s Blu Jazz where he helps mentor young developing jazz students. He can add to his accomplishments winning a prestigious Knight Foundation Arts Challenge grant to establish the Rubber City Jazz and Blues Festival and appearing as Herbie Hancock in actor Don Cheadle’s 2015 film Miles Ahead about jazz legend Miles Davis. Theron’s musical studies include the University of Akron, where he obtained a Bachelor’s Degree in Jazz studies in 2014. He is currently pursuing his Master’s Degree in classical piano performance at the University of Akron. Theron has played with musicians such as Dan Wilson, Sean Jones, The Huntertones (formerly DW6),The Cleveland Jazz Orchestra, The Glenn Miller Orchestra, The Sam Blakeslee Large Ensemble, Josh Rzepka, University of Akron Ensembles, Nathan Davis and Bobby Selvaggio. Theron’s worldwide performances, particularly those with trios, quartets and big bands, brought him recognition here at home and from numerous places all around the world including Japan, New York City, Toronto, Montreal and India. 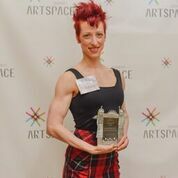 OUTSTANDING ARTIST IN DANCE ~ Kelli Sanford Kelli has been dancing for 31 years, beginning at the age of 5 in her hometown in rural northeast Ohio. She received a Master of Fine Arts in Contemporary Dance from Case Western Reserve University following a Bachelor of Arts in Dance from the University of Akron. Kelli has danced, choreographed and instructed for various professional dance companies and programs. Kelli has now devoted the last five years to bringing innovative modern dance training and performance to northeast Ohio, including establishing the only professional modern dance center in Summit County. Kelli’s dedication to her northeast Ohio roots is surpassed only by her passion for modern dance. Every season since 2011, RED Company performs a dance concert series premiering imaginative danceworks and music. RED begins its sixth season in 2016. RED Company’s professional and apprentice dancers perform danceworks, such as Monarch, at local senior citizen and assisted living residential facilities. Every dancework performed is Kelli’s original choreography and costume design. She frequently sews all the costumes as well. RED Company is a nonprofit organization. Kelli’s valued relationships in the community afford opportunities for collaboration and in-kind support that are essential to the sustainability of a nonprofit. Kelli is admired in the arts community, especially in dance, and is an exemplary model of dedication to northeast Ohio arts. 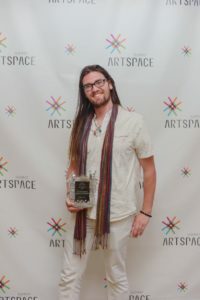 RISING STAR ~ Michael Marras Born and raised in Akron, Michael Marras works in traditional art, both two- and three-dimensional and digital mixed media. He has a workshop in downtown Akron where he is surrounded by the metal he uses for his intricate sculptures, some of which have earned him accolades through Akron Art Prize. He has a degree in computer animation from Full Sail University and apprenticed to artist Marcos Cruz of Florida who taught him the art of welding. He recently completed his Akron Tree Project, his first public sculpture of a 25-foot tree located at 143 West Market Street that will be installed by the end of June 2016. The tree is an exciting assemblage of scrap and recycled metal. The public project was funded through a Kickstarter campaign. ARTS EDUCATOR ~ Elisa Gargarella, Ph.D. Tenured Associate Professor of Art Education, began teaching at UA in 2001. She earned a PhD in Curriculum and Instructional Studies from the University of Akron; an MA in Education from Chatham College; and a BA in Communications with a Minor in Studio Art from Denison University. 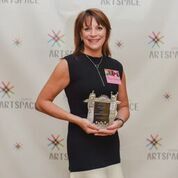 Dr. Gargarella has been the only full-time art education faculty member within the Art Department at the University of Akron for fifteen years. 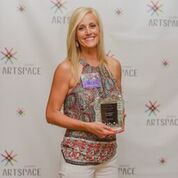 She developed six outreach arts-based programs for the community, and has helped to place over 80% of her students in full time art teaching positions. Dr. Gargarella’s research is based on community-based art education, creative placemaking and social justice education through the arts, pre-service teacher engagement and urban revitalization through public and school arts partnerships. Dr. Gargarella is faculty and coordinator of the Art Education program at UA. 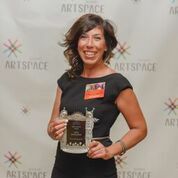 She is creator and director of the award winning Arts LIFT program, a recognized summer arts residency for inner city high school students that has produced 11 major public art installations throughout Summit County. Elisa is recently the creator and director of the Art Bomb Brigade. The ‘Art Bomb Brigade’ is an exciting art program chosen for the Knight Arts Challenge by the John S. and James L. Knight Foundation as an exemplary way to improve struggling and disadvantaged neighborhoods in Akron with wall murals that are designed and painted by art students in the Myers School of Art at The University of Akron. 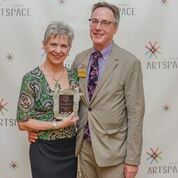 ARTS PATRONS ~ Ron and Ann Allan Ron and Ann Allan immerse themselves in Akron area arts and cultural organizations. As an attorney with Buckingham Doolittle & Burroughs, specializing in nonprofit and foundation business, Ron has supported an array of local arts and culture organizations by serving on advisory boards, including Tuesday Musical Association and the Akron Symphony Orchestra. He has also been a trustee at the Akron Art Museum and Old Trail School. Ann is a former faculty member in library science at Kent State University. However, Ron and Ann give more than just their time — they also share their treasure through the Allan Family Fund of the Akron Community Foundation. Since 1991, the fund has made hundreds of grants to dozens of organizations in Summit County. These include Tuesday Musical Association, Magical Theatre in Barberton, the Greater Akron Musical Association, United Way of Summit County, Old Trail School, Akron/Canton Juvenile Diabetes Research Foundation, the Akron Art Museum and many more. “Family Fun Night” at the Akron Art Museum, which exposes local youth to creating art, is an example of the programs made possible by the Allans. ARTS PATRONS ~ Rick and Alita Rogers Rick and Alita Rogers have made and continue to make a significant impact in the arts community in Akron. They carry on the Rogers family’s tradition of philanthropy and leadership. This may too often go unnoticed because of their humble nature, but their contribution is considerable and enduring. Specifically at the Akron Art Museum, their involvement started in 1995. Both Rick and Alita have served on the Board of Directors. Rick was Board Chair from 2003-2005. Rick also served on the Create a Masterpiece Campaign to raise funds for the museum expansion, on the architect selection committee and on the building committee. Alita has been a vice­ president of the board and is currently secretary. They support the museum in a variety of ways from acquisition of new works to loaning works from their collection to being two of its strongest advocates. 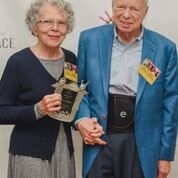 In 2012, Rick and Alita pledged a lead gift to the museum for the creation of a garden named in honor of Rick’s parents who are also longtime community volunteers and museum supporters. Groundbreaking took place this past summer for the Bud and Susie Rogers Garden. The Garden will provide the opportunity to create a truly innovative space in which to create meaningful art experiences and enhance the quality of life for all in Akron. It will be a sculpture garden with a variety of additional programming uses including visual arts, music, dance, writing, drawing and painting. It’s location between the museum, Knight Center and library creates a gathering place where people can picnic, come off the Towpath with their bikes, enjoy concerts and take in the art. The Rogers also support many other local art and human service organizations including the Akron Symphony, The University of Akron Myers School of Art, the Boys and Girls Club of the Western Reserve and Akron Children’s Medical Center. COLLABORATIVE PROJECT ~ Inside|Out Inside|Out is a community-activated art project that brings high quality art reproductions from the Akron Art Museum’s world class collection into Summit County neighborhoods. In its first year, the museum installed 30 reproduction and outdoor locations in six neighborhoods in and around the Akron area. The project which is funded by the James S. and John L. Knight Foundation generated other local engaging programs while the art was in the various neighborhoods, including an Instagram photo contest. Inside|Out has returned in 2016 to install 40 artworks across another eight neighborhoods and outdoor spaces. It uses an innovative app to provide information about the art and artists and podcasts featuring local community members talking about selected works. The project has served as an effective way for the museum to reach out and create new art lovers. It has also provided many opportunities for collaboration with partners including the law firm Brennan, Manna & Diamond; Akron City Council; Kenmore United; City of Barberton; Barberton Community Foundation; Stockburger Civic Solutions; City of Cuyahoga Falls; Highland Square Neighborhood Association; International Institute; Akron Better Block; Summit Metro Parks; The Ohio & Erie Canalway; Downtown Akron Partnership; Akron-Summit County Public Library; The University of Akron; Akron Bike Party; The University of Akron’s Myers School of Art; Summit County Historical Society; and the Akron2Akron walking tours, among others. 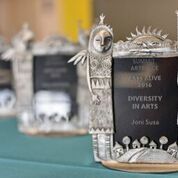 DIVERSITY IN ARTS ~ Joni Susa Lake School District Art teacher Joni Susa uses art to expand her students’ minds beyond their creative talent. She enables them to explore cultural diversity through art; using art as a medium to understand and celebrate other religions, cultures, races and lifestyles. Joni earned her bachelor’s degree at West Liberty State University in West Virginia and a Master of Art at The University of Akron. Joni has been a classroom teacher for 17 years and has been part of the faculty at Lake since 2011. She teaches art to students kindergarten through sixth grade which includes students with learning disabilities. Her dedication to her students and her passion has helped create a more culturally diverse community. As an example, she had her students take an assessment of their cultural awareness before and after their art experience in her classroom. The students, prior to her art class, scored very low on understanding cultural diversity. After her class they scored significantly higher. Using art, Joni taught the students to embrace other people, even if they are different. Her approach to teaching art impacts others to think outside societal norms. You can be part of the experience in her classroom by reading her blog at susaartclass.blogspot.com. She contributes her own art pieces to local non-profit fundraising efforts, including supporting the Battered Women’s Shelter of Summit and Medina Counties. VOLUNTEER SERVICE ~ David DiDomenico Cycling enthusiast David DiDomenico is always in motion and that’s the way he supports the Akron art community through the Coffee Pot Café which he opened on South Main Street a year ago. Its doors are open Monday through Friday, 8 a.m. to 5 p.m. and on Friday, 9 a.m. to 4 p.m. The location under the wing of the library continually displays the work of at least 25 local artists for free. Customers are encouraged to draw and their drawings are displayed anywhere there is space. He invites the community to make the CPC their hub. So you will find the Akron Bike Party starting out there every third Friday while the Yarn Lovers at the Library also use it as a monthly meeting spot. There is game night twice per month and community members are welcome to conduct workshops there. He was elected to the Board of Summit Cycling Center this May and is the founder of The Waters Park Renewal Society, a community action group dedicated to the renewal and restoration of Waters Park in North Hill. You will see him working the food service for art and cultural events including this year’s successful Big Love and events at Summit Artspace. He shops locally for all the produce and coffee served at The Coffee Pot Café. You could say he’s rooted in his love of home town and its artistic uniqueness. 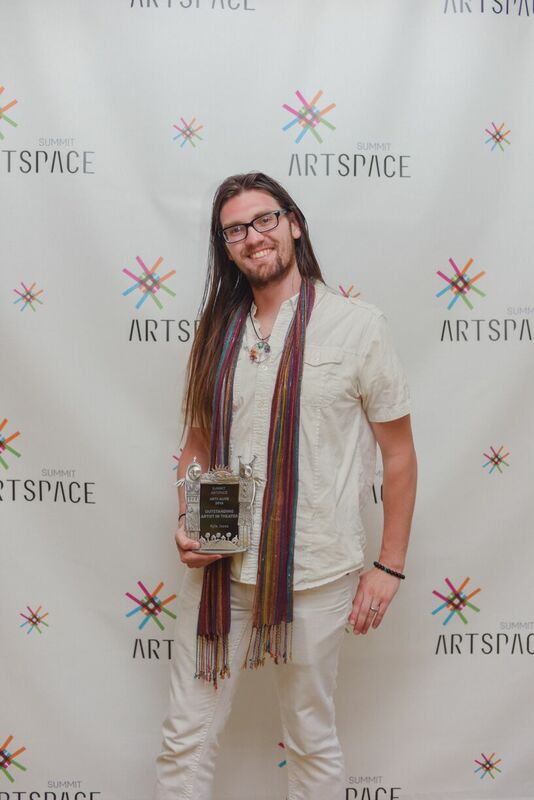 About Summit Artspace ~ Summit Artspace is a community art center bringing together in one location some of the best local artists, art education and arts organizations of the Greater Akron area. It is a project of the Akron Area Arts Alliance, a non-profit organization, promoting arts and cultural activities. 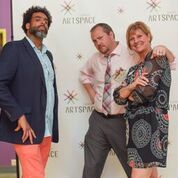 Summit Artspace is committed to building public awareness of the value of arts and culture to the quality of life and the local economy. The Summit Artspace building, formerly the first site of the Akron Beacon Journal, houses the Summit Artspace Gallery, artist studios, the Akron Area Arts Alliance office, The Box Gallery and is the site of several art organizations as well as performance space workshop areas and meeting rooms. 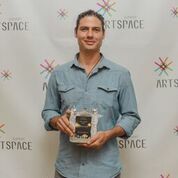 The facility is owned by the County of Summit, which has been a significant and valued supporter of Summit Artspace as community space. www.summitartspace.org Find us on Facebook at Summit Artspace and on Twitter at @AkronAreaArts.